Richard Clarence Delwiche, 70, of Maplewood, passed away at home late Friday night, August 17, 2018 with family at his side. 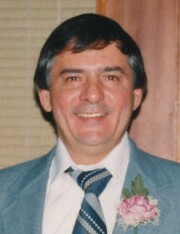 He was born in Algoma on Valentine’s Day in 1948, the son of Wilmer and Verna (Neuville) Delwiche. Richard attended Maplewood Grade School and graduated from Southern Door High School in 1966. He was drafted to serve his country with the United States Army that same year during the Vietnam War. 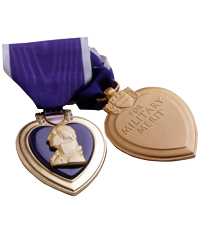 Richard received a Purple Heart for his service and was honorably discharged in 1968. He was united in marriage to Pamela Alice Prue at home on November 28, 1992. They shared nearly 26 years of marriage together. Richard was employed with Algoma Hardwoods before working for Peterson Builders Incorporated (PBI) and Bay Shipbuilding Co. (for a short time), both in Sturgeon Bay. His primary employment was with Georgia Pacific where he worked until his retirement. Richard was a member of Holy Name of Mary Parish in Maplewood, the George W. Goetz Forestville American Legion Post 372, and the Maplewood Athletic Association, which he and Pam were actively involved in, working in the stands and taking tickets. He was an avid fisherman and a huge fan of both, the Milwaukee Brewers and the Green Bay Packers. Despite not being a golfer, he enjoyed watching golf on television and would often flip between Brewer games and golf tournaments. Richard will be missed by his wife, Pam; daughter and son, Heidi (Dan) of Seymour (and their children, Haley and Jacob) and Bryan (Stacie) of Hobart (and their children, Zachary and Zoey); stepdaughter, Marilyn Matthews (and her son, Isaiah); three brothers and five sisters, James (Diane) Delwiche of Sturgeon Bay and Florida, Jeanine Albert of Green Bay, Mike (June) Delwiche of Sturgeon Bay, Carole (Rich) Osburn of Des Moines, IA, Lenore (John) Kohlbeck of Sturgeon Bay, Judy (Ken) Deprey of Luxemburg, Eileen Delwiche of Sturgeon Bay, and Darrel (Linda) Delwiche of Maplewood; father-in-law, Gordon Prue of Casco; three brothers-in-law, Steve (Tina) Prue, Randy (Nilda) Prue, both of Green Bay, and Jeff (Sue) Prue of Dyckesville; many nieces and nephews; other relatives; and friends. He was preceded in death by his parents; infant brother, Anthony; and mother-in-law, Shirley Prue. A Mass of Christian Burial will be held at 11:00 a.m. on Thursday, August 30, 2018 at Holy Name of Mary Catholic Church in Maplewood with Fr. Anthony Birdsall as celebrant. Burial with military honors by the United States Army and the George W. Goetz Forestville American Legion Post 372 will follow in the church cemetery. Visitation will be held at the church on Thursday, August 30, 2018 from 9:00 a.m. until the time of Mass. Richard’s family requests NO FLOWERS be sent for his services. Instead, consider “paying it forward” by donating to either DOOR CANcer Inc., Bellin Cancer Center, or the Rob DeGrand Memorial Foundation for the gracious support they provided to Richard and his family. A heartfelt thanks also goes out to the Unity Hospice staff for the compassionate care given to Richard this past month. Huehns Funeral Home, Inc. & Door County Crematory LLC in Sturgeon Bay are assisting the Delwiche family. Expressions of sympathy, memories, and photos of Richard may be shared with his family through his tribute page at www.huehnsfuneralhome.com.